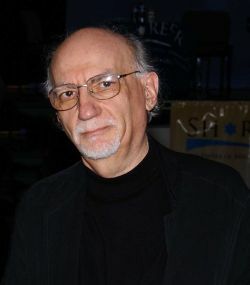 Solomon Volkov (b.1944), Russian-American cultural historian, is the award-winning author of Shostakovich and Stalin, among other best-selling books about Russian culture. His St. Petersburg: A Cultural History was the first comprehensive investigation of this topic in any language. Volkov is a cultural commentator for Radio Free Europe/Radio Liberty. He lives in New York City with his wife Marianna, a pianist and photographer.